What a year! 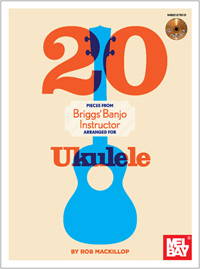 Four ukulele books and two banjo books, each with a CD and TAB, plus a banjo download album (on iTunes, CD Baby, Amazon, etc) and a recording of 17th-century Scottish music with baroque guitar and viol. 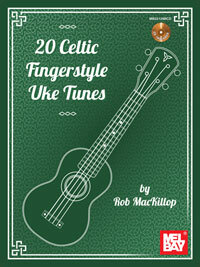 The final two uke books have just appeared. Check out the links (the author info needs updating!). Hello Rob, greetings from France. I just discovered your playing of Scottish music on historical instruments : BRAVO! I’m a lutenist living in the Ardèche mountains, and member of the trio Ensemble Toss the Feathers http://www.ensemble-toss-the-feathers.eu. Preparing pieces from the Rowallen MS for our next CD which maybe will be produced by Harmonia Mundi. I’m playing them on theorbo – so of course I’ve done some arranging… I dream of visiting with a Scottish lute player who could listen to what I’m doing and tell me what he thinks….. Or inviting him to be a guest in France for a few days if his touring takes him so far south…. Hi Valerie. Nice video. I don’t tour anymore, but if you are ever in Edinburgh, let me know. Good luck with the recording.